The warm, spirited celebration of Hari Raya (Grand Day of Rejoicing) at the Malaysian Consulate on Monday was perfused by a subtle air of somberness. The tragic death of 298 passengers and crew aboard flight MH17 echoed in the collective consciousness of Malaysian nationals, expats and their guests celebrating one of Malaysia’s most prominent annual events. “We’re sticking together; rallying around the flag,” 21-year-old, Penang-born, Shamil Norshidi said, of the local Malaysian community’s response to the devastating loss of life. A political science and English student at Stony Brook University, Shamil is actively and passionately involved in the politics of his homeland. This year, he was elected president of the U.S. East Coast faction of the United Malays National Organization (UMNO)—Malaysia’s governing political party. We don’t want to inflame the circumstance, Shamil said, with respect to the ongoing controversy surrounding the shoot-down of flight 17. It’s important for us to “take a step back, act with calm—show Malaysianhood,” he added smiling casually. 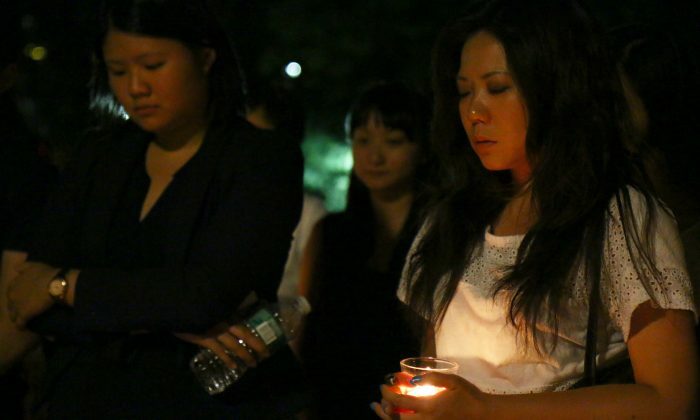 On July 21, Shamil was among the 30 or so mourners who attended a candle light vigil at Washington Square Park in New York City for those lost on flight 17. Like Monday’s Consulate celebration, the vigil assemblage revealed the bonds of solidarity and support that define local Malaysian culture. The small, intimate gathering, which ran from 9 p.m. gave an opportunity for the community of Indian, Chinese, and ethnic Malays of varied faiths to express verbally and in handwritten dedications, their sadness. “All politics and gossip were pushed aside” that night, said Shamil, who rode his bike from uptown to Washington Square for the vigil.